[caption ular cricket rules should be followed. talking about the IND VS ENG 27TH FEB 2011 CWC match when bell was given not out by both on field & the 3rd umpire & he knew he was out.the question is should it be used when its fully ready to be a part of the big events with the hotspot the ball touching the bat when both dhoni & umpires dint know what happend. but the bowler zak knew orshould it be used when its half ready? 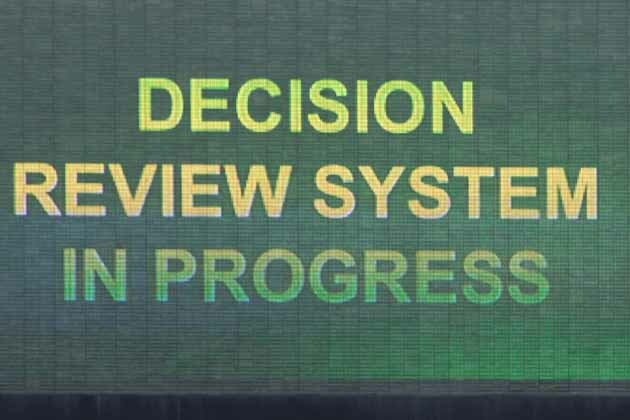 BCCI argues that the UDRS is not accurate .they should know mistakes are made by everybody . the Umpires also so make them. why the hell are they not interested ? are they worried that people will know why & how they are the richest board . Technology should be used they should not say no.Also dhoni is backing them because is he scared of his captaincy going away coz he is not listening to his owners. is MSD being too gready?